The Government of the Republic of Zambia enacted the Water Resources Management (WRM) Act No. 21 of 2011 which repealed the 1949 Water Act. The 1949 Water Act provided for the regulation of surface water only. The 2011 Water Act was enacted to promote integrated water resources management principles that allow for the development and management of water resources through the participation of key stakeholders to realize effective and equitable utilization of water resources for sustainable development. The enactment of the 2011 Water Resources Management Act recognized groundwater as a public good, which since Zambia’s independence, had never been subjected to regulation. But groundwater is a finite resource, susceptible to over utilization, contamination and depletion and therefore requiring regulation. Despite the coming into force of the 2011 Water Resources Management Act, regulation of groundwater could not be actualized because there were no Statutory Instruments (SIs) to operationalize the principal Act. It is against this background that the Government through the Ministry of Water Development, Sanitation and Environmental Protection and the Water Resources Management Authority started the development of regulations in 2015 through a robust participatory and consultative process involving various key stakeholders. The process commenced with consultative meetings at national and sub national levels followed by sector meetings involving agriculture, mining, industries, municipal and hydropower over a period of two (2) years from 2015 to 2017. The outcomes of these consultations were taken into consideration recognizing varying needs of stakeholders. Following this process, the three Statutory Instruments were developed and a Regulatory Impact Assessment of the regulations was undertaken in line with the requirements of the Business Regulatory Review Act No. 3 of 2014 and consequently approved by the Business Regulatory Review Agency (BRRA). 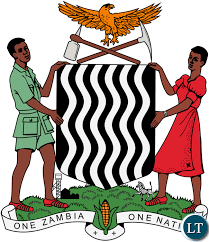 The Statutory Instruments in question have a lot of benefits for the people of Zambia. It is important to note that Statutory Instrument No. 18 of 2018, which prescribes fees and charges, was last revised in 1990. The SI provides charges and fees for all economic uses of water such as hydropower, agriculture, mining, industries and municipal as well as non-extractive uses such as recreation and navigation. In line with Government Policy of improving access to water and sanitation, the SI has provided exemptions from charges and fees for domestic and non-commercial use of water up to 10,000 litres per day per household. Furthermore, the SI has also provided for a fixed charge of K5.00 for agricultural use of water of up to 100,000 litres per day. SI No. 19 of 2018 provides for licensing of drillers and constructors of water works. This SI brings into regulation the drillers of boreholes in order to bring standards and sanity in the drilling of boreholes as well as protect consumers from exploitation. SI No. 20 of 2018 is intended to protect groundwater resources and safe guard public health by prescribing minimum distances between adjacent boreholes as well as the distance between a borehole and a potential pollution source such as septic tanks and soak ways, landfills, graves etc. The Government of the Republic of Zambia through the Ministry of Water Development, Sanitation and Environmental Protection, wishes to reiterate that water resources management and development remains a priority in fostering economic diversification and job creation as well as enhanced human development in order to contribute to the country's sustainable development. (v) To defray administrative costs related to the service of management of the water resource. The above measures are meant to safeguard both ground and surface water resources which is critical for fostering economic development and wellbeing of the general public.. The SIs will also help curb the recurrence of water borne diseases such as cholera and other diarrhoeal diseases. Government remains committed to the devolution of water resources through establishment of Catchment Councils, Sub-catchment Councils and Water Users Associations which are anchored on Integrated Water Resources Management Principles aimed at promoting full participation of communities and gender mainstreaming in water resources development, management and utilisation. Government wishes to assure the people of Zambia that the Ministry of Water Development, Sanitation and Environmental Protection will continue to engage stakeholders to ensure the effective and efficient management of the Water Resources in the country.